Our Michigan tattoo injury and body piercing infection lawyers represent clients who have suffered injuries due to the negligence of the tattoo artist or parlor. Tattoos and body piercing have become not only more popular and socially acceptable in recent years, but are also now personal statement for people who have chosen to display images, phrases, and jewelry on their bodies. Many people have also permanent makeup (called micorpigmentation) applied to their bodies. Although these procedures seem routine and are usually provided outside of a medical office, there are serious risks involved. In Michigan, there are state laws regulating tattoo parlors but there are no specific standards that are used by medical professionals. 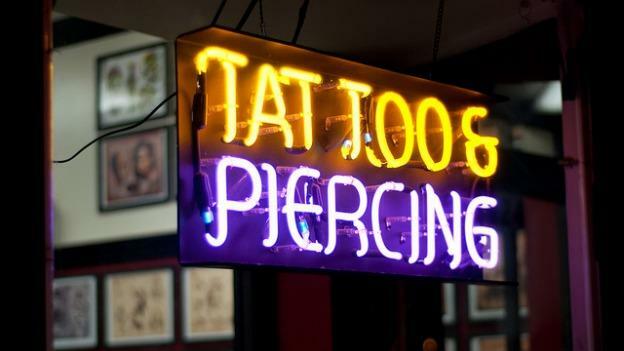 Many Michigan tattoo and body piercing parlors are not operated with appropriate sanitary methods or run by properly trained individuals and clients suffer injuries from procedure. Many woman choose to have permanent makeup applied for a variety of reasons, but this is usually not done by a dermatologist or physician, again giving concern for potential injuries. There are also occasions in which the tattoo artist placed the wrong image or simply did a poor artistic job, thereby disfiguring the client and causing an unsatisfactory result. This causes clients to undergo additional procedures like laser treatments, dermabrasion, salabrasion, and camaflouging to create a new pattern or image. If you or a loved one has been a victim of a tatto or piercing parlor injury in Michigan, you may be able to file a lawsuit seeking compensation for your injuries. Call our award winning legal team today at (800) 606-1717. We will listen to your story and determine if you are eligible to file a claim. There are strict time deadlines so it is important that you call us today.